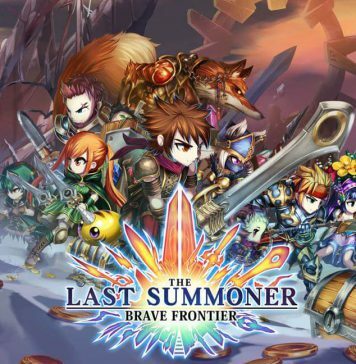 Due to the tutorial not covering many of the features in the game and the user interface (UI) not being what I would call intuitive, I have written down a few observations I have done so far in the game that I hope help others get a good start of their journey in Brave Frontier: The Last Summoner. With any gacha games, rerolling is almost a must-do thing if you want to have a better start. 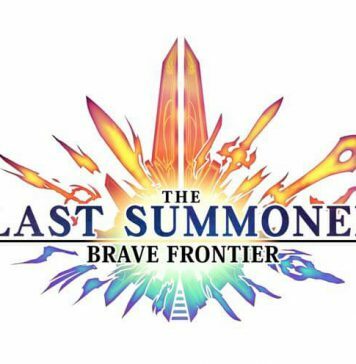 Before getting into some basics for Brave Frontier: The Last Summoner, if you need to do some rerolls, you might want to check this: Rerolling, a simple guide. You start with your main character Brook going on quests that are someones memories. To complete quests and parades in the game you need to use energy. As you level up your account level you gain more energy to use going on quests, currently the regeneration rate for one energy is four minutes (as of the soft launch). It is possible to refill energy with orbs when you run out. First time you refill cost 25 orbs and after that each time doubles the cost. The cost should be reset to 25 orbs each night (the reset currently seems buggy though). Orbs are the premium currency in this game. You gain a few orbs as rewards during the game and you can also choose to buy orbs in the shop. Orbs are currently used to either summon new units or replenish your energy. Other currencies in the game are karma and gold. Karma is used to upgrade (fuse) or evolve your units and spirits. You can also summon 1 and 2 star level units using karma. Gold is used to buy and upgrade unit skills and role bonuses. The main menu at the bottom of the UI has five options. From left to right; Items, Units, Quests, Shop and Summon. The Items option include four sub-options; Souls, Crystals, Upgrades and Weapons. All of these start with a restricted number of slots, the number of slots increase as you level up your main account level. If you get more items than your current capacity can hold the items will be sent to your mailbox and kept there for a month. Souls are used to level up your spirits (explained under Units). Souls have different star levels, the higher star level on the soul the more XP gained using the soul to fuse into your spirits. Fusing a soul into the same type of spirit (e.g. fusing a Phoenix soul into a Phoenix Spirit) increase the spirit sphere limit by one. 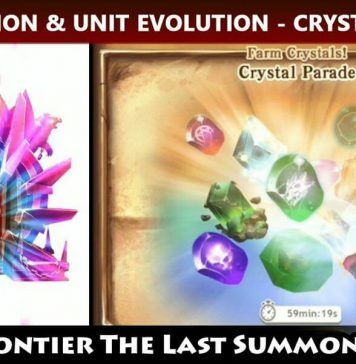 Crystals are primarily used to evolve your units to higher star levels. But there are other crystals too, such as the summoning crystal that can be used to summon 3 and 4 star level units. Crystals are mainly gained as rewards in quests or parades. Upgrades are used to level up your units in different ways. Metal upgrades are used to increase the level of your units through fusing. The burst frog can be used to increase the total amount of sphere slots your units can have. Weapons are divided into different types and each type can only be used by a unit from the same type. The different types of weapons are; One hand sword, Two hand sword, Daggers, Bow, Scepter, Spear, Fist, Shield and Pistols. You can not upgrade weapons but just as units they have different star levels, currently between 1 to 6, where the higher star weapons usually are more powerful. The different weapons types have different Initiative and also have different extra modifiers. Weapons are primarily gain as rewards in quests. Currently the game includes units with star levels between 1 and 5, where 5 is the highest evolution level right now. Units can have different “elements”; Fire, Water, Thunder, Earth, Light and Dark. As in earlier Brave Frontier games Fire is powerful against earth, Water is powerful against fire, Thunder is powerful against water, Earth is powerful against thunder and Light and Dark are powerful against each other. In this part of the UI you can also switch to view your spirits, explained more below. 1 star goes up to level 10 and have 1 in squad cost. 2 star goes up to level 20 and have 2 in squad cost. 3 star goes up to level 60 and have 4 in squad cost. 4 star goes up to level 80 and have 8 in squad cost. 5 star goes up to level (not sure yet). Leveling up your units can be done by simply playing quests. Your units gain XP when they survive fights when you have them in your squad while playing quests. This is however not a lot of XP. To level up faster you can fuse metal upgrades (ghosts and kings) into your units. It is also possible to gain XP by fusing other units into your units. After selecting a unit and pressing the fuse button you have the option to select either your own units or the upgrade items e.g. the metal ghosts. When your unit reach their max level for their star level it is possible to evolve them to a higher star level (up to level 5) using karma and the required evolution crystals. When evolving units you also gain XP to your account level. As it is currently hard to get XP, evolving star level 1 units is one extra means of helping leveling up your account. BE AWARE, when evolving units their level goes back to 1 which means they will not be very powerful until you level them up again. If you want to evolve a unit that you are currently using it is advised to wait with the evolution until you know you have enough fusing material (e.g. metal units) to make sure you can level up the unit enough to get some power back. Units that are capable to evolve to 5 star level have memories. To evolve them you also need to complete their memories on top of getting them to max level and getting all the crystals. Some memories are very hard battles and others are just a story line cinematic. Units can only equip weapons according to their type (see more under weapons description). The weapon also decides what kind of initiative the unit will have. The initiative of your five units in your squad are added together and is a deciding factor for which squad gets to fight first in a battle, if your enemy have higher squad initiative they start. If there is a huge difference in initiative the higher initiative might even get to play more than one turn before the opposing squad gets a turn. If a weapon has a star level two or more level above the unit that has it equipped the unit stats get decrease. Each unit can have up to five roles; Summoner, Oracle, Leader, Breaker and Guardian. Roles are primarily important for two things, skills and sphere boosts. To unlock a skill for a unit you have to have the corresponding role unlocked on that unit. Unlocking a role for a unit also unlocks the sphere boosts for that role, each star level opens up more skills and sphere boosts. Summoner role can boost BC drop rate, Oracle role can boost MAG stat, Leader role can boost HP stat, Breaker role can boost ATK stat and Guardian role can boost DEF stat. A unit automatically can use the skills in the star level it was summoned regardless of which roles that unit has. However when you evolve said unit you will have to unlock the corresponding roles to be able to upgrade or unlock other role based skills. Some units have more than one skill corresponding to the same role, as of now (soft launch) it is not possible to change which skill the unit should enable if that skill is automatically unlocked when summoned. If you get all five roles on a 5 star capable unit you open the possibility to unlock the Ascend sphere. You will need 5 free sphere slots and pay 1,5 million zel to unlock the Ascend sphere. The Ascend sphere increase the level of all your skills with one level and gives a stat boost to ATK, DEF, MAG and HP. Another way to increasing the level of your skills is if you have units with the same skill in you squad, then the skills increase by one level for each unit with the same skill. The maximum skill level is five. For a list of skills check out The last summoner skill page. Star level 1 units start with two sphere slots by default. Each time you evolve that unit and increase its star level you get two more sphere slots. It is also possible to increase a units sphere slots by four for each star level, e.g. a 1 star unit can have totally 6 sphere slots and a 3 star unit can have up to 18 sphere slots. The sphere slot limit can be increased by fusing a duplicate unit into your main unit or with the help of burst emperors (red frogs). There is also a small possibility to increase the sphere limit if you fuse a unit with the similar theme (background) as your main unit. BE AWARE, your unit only have a set amount of spheres slots. Buying skills and stat boosts all count towards your sphere slot limit and early in the game it is easy to max out your sphere limit which might stop you from getting the skills you want. 5 star capable units can summon spirits to help in quests. Some units can summon at 3 star level and other need to be evolved to 5 star before they can summon a spirit. Unless a unit can summon at the level you acquire the unit, you will have to unlock the Summoner role for that unit to be able to buy the summoning skill. Initially you start with six spirits; Phoenix (fire), Leviathan (water), Behemoth (thunder), Great tree Aleu (earth), Wyvern (light) and Memetes (dark). These spirits can be evolves up to star level 10. Note however that just because you evolve a spirit to a higher level does not mean you summon the spirit at that level, it only gives you the possibility to summon the spirit at that level. You also need to increase the summoning skill on the unit that do the actual summoning to summon a higher level spirit. Each level on the spirit unlocks new skills or upgrades to already unlocked skills. Upgrading or buying a new skill requires a sphere. See spirit section for explanation on how to increase sphere limit. Each spirit has different skills that gets enables once your unit summon them in a battle. All skills you have bought for your spirit are enabled when the spirit is summoned. The quest mode is where the main story takes place and you can get lots of other rewards in harvest quests and challenges. The story mode is where you will follow Brooks story and currently where you will get your main account XP from. Most story quests are battles but some or simply cinematics to progress the story. At certain parts in the story you get to play memory quests like the ones you complete before evolving 5 star capable units. In many story quests you are forced to use certain units connected to the story line in your squad. When you complete a story quest you get up to three stars based on how much damage you did during the quest. Getting one star gives you 500 XP, two stars give you a total of 800 XP and getting three stars gets you a total of 1000 XP for that quest. It is only possible to get this XP once, however you don’t have to get 3 stars the first try. Say you got two stars and got 800 XP you can later revisit the quest and get three stars in it to receive the final 200 XP. In general getting overkills seems to give a lot of points. One strategy is to kill one enemy at the time in the beginning of the quest to build up your Battle crystals (BC) and then do many brave bursts at the same time on one full enemy squad to get overkills. Harvest quests is another way to get a little XP but also more rewards. In harvest quests you are more free to use your own combination of units in your squads. In each harvest quest you have the possibility to open three reward gates. To open a gate you need to accumulate a certain amount of points. If you manage to score a lot of points you can open all three gates during only one run of the quest but usually you will need to run the quest a couple of times before unlocking all three gates. Sort of like story quests you can get XP for harvest quests, however the XP is based on the number of gates you manage to unlock, first gate gives you 125 account XP, second gate gives you 50 extra account XP and the third gate gives you a final 25 XP. In total you can get 200 XP from each harvest quest. Even after you open all three gates in a harvest mission it can still be useful to do these quests to farm for material like crystals or metal units. In Challenge and Challenge+ quests you can get more rewards. These quests are based on the same setup of enemy units as the story and harvest quest in that act but have much stronger enemies and are usually a lot harder to complete. There are no gates in the challenge quests but you get one time rewards instead. Just like story quests you can get XP for challenge quests based on the amount of stars you manage to unlock, one star gives you 125 account XP, getting a second star gives you 50 extra account XP and getting the third star gives you a final 25 XP. In total you can get 200 XP from each challenge quest. However primarily these are done for the reward and once you complete them and hopefully got three stars there does not seem to be much reason to do them again. This is where you spend your gaming allowance to buy orbs (if you have one). This is where you spend your hard earned material to summon units to aid you in battle. The primary summon material is orbs. But it is also possible to summon 1-2 star units using karma and you can summon one 1-3 star unit for free every 24 hours. It is also possible to summon units with rewards you get in the game such as Summoning crystals or summoning tickets. May RNGesus be on your side when summoning! There are three skills that I would say are particularly good to have early on in the game, atleast one or maybe two units with skills that attack all units in an enemy squad (AOE), one or two units that can do strong single target attacks (ST) and one healer that can burst heal your squad and collect battle crystals (BC) with the scepter weapon. Other aspects that are useful to have in your team is one unit with high health that can take a lot of damage from the enemy (tank), one or more units with high initiative weapons so that you get to start the turn before the enemy and one units that can summon a spirit to help you fight. However getting a unit that can summon a spirit while still being a 3 star unit early on requires a lot of luck when summoning or that you spend a lot on summoning to get the “right” unit. You start with your main character Brook that can be evolved to a 5 star unit. You will also be able to summon atleast one more unit that is possible to evolve to 5 star fairly early in the game. Summoning several 5 star capable units early on can make things easier, however there are quite a few free units that are very useful for players that do not want to or have the possibility to spend money on the game. Following are some of the free units that you could consider using early on in the game. In the third harvest gate (gold) in act 1-4 you get the Volpis druid as a reward, he is a good healer early on before you have gotten 5 star units that can heal. Another good healer early on is the Undine healer that you can get as a reward from the third harvest gate in act 2-10, she also has a water AOE attack. Brook will also be good to use for AOE attacks. To compliment Brooks you can get a Volpis thief as a reward in the second harvest gate (silver) in act 1-4. He is not very powerful later on in the game as you start getting 5 star units from summons, however his fire AOE skill harmonize with Brooks skill and increase the damage for both units. Another free AOE unit you get as a reward for clearing the story in act 7-9. There you get Zola that can do a dark AOE attack. Both Brook and Zola unlock their roles for free as you complete their memories, so you don’t need duplicate units to unlock all their five roles. To cover your ST attacks you get an Undine lancer as reward for clearing the story in act 2-10 and as a reward for clearing the story in act 4-8 you get the Vorderiast Soldier. The thing that is good with the Vorderiast solder is that he unlocks his dark ST attack level 3 at 4 star evolution, usually that requires units to be 5 star evolution. However his maximum star evolution is 4 so once they start realeasing harder content later on in the game he will most likely be obsolete, but still a very good unit early on in the game. Doing the metal parade (that is on a rolling schedule) early is a very good way of leveling up your units. Also doing the crystal parade is a good way to get crystals to be able to evolve your units to higher star levels. How you position your units in your squad affects both your attacking and defending outcome. This is just my observations so if anyone have a more complete explanation for this please let me know. When attacking, different units/weapons have different range when they do maximum damage. If you press on an enemy and you see the weapons start to glow on your unit you know they are within range to do maximum damage. One hand swords weapons needs to be in the front two (right in squad building) spots of your squad. Bow, dagger, fist, spear and two hand swords can be in any position. Shield and scepters weapons does not seem to get this bonus in any position. When your enemies attack your units they seem to target certain positions more often than others based on their weapon type. “Animal” (fang icon) and sword enemies seem to attack the two front (right in squad building) units, dagger and two hand sword units seem to target you two back (left in squad building) units. If you know what kind of enemies you will face in a quest this can help you to know where to position your units when building a squad. I hope it helped someone out getting started and getting into Brave Frontier: The Last Summoner. Please let me know if you find this useful or if you want me to include other information in the guide as well! One observation of my own that may help: it IS possible to change the brave burst that is enabled on a newly-summoned unit, but it is expensive. You have to scroll to the bottom of the unit page, pay to “unlock spheres” (on my 3* unit it was 5k zel), reload game (I suspect this is a bug, as multiple aspects of new unit acquisition don’t seem to reflect immediately, until you reload game), and then you can purchase the brave burst/brave support/etc of your choice, but in my case for a 3* unit, they each cost 50k-60k zel to purchase. I used this to reset a fire unit from a ST BB to the AoE BB that Brook uses. Not sure it was a worthwhile Investment of my early-game zel, but anything to boost my main BB. How we can use the souls?